Shopping for a new car used to be a labor of love, or a trip through hell. Some customers enjoyed the trips to multiple showrooms to stroke the flanks of shiny new models, as well as the adrenaline thrill of haggling over the price. Others hated the confusion over models and options, as well as the anxiety of arriving at a fair price. Buyers now have the best of both worlds, thanks to digital media and services: they can do the majority of their research online, arriving at the showroom ready to enjoy a test drive, armed with pricing information from a variety of third-party auto sites. All this may change, however, in an autonomous future, when cars are hailed, not owned. Today, the ability to get information and take care of business online is changing the customer journey and improving the customer experience. 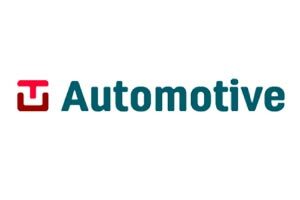 When Jumpstart Automotive Media, a division of Hearst Autos, surveyed 291 consumers, 59% said they visited fewer dealerships, thanks to online research helping them narrow down their choices. A Cox Automotive survey of 2,050 car buyers found that 61% of the total time spent on a car purchase was online. In both surveys, respondents were unhappy with how much time they spent at the dealership negotiating the price and filling out paperwork. Jumpstart found that consumers overwhelmingly wanted to move as much of the shopping and purchasing process as possible online. They wanted to be able to get the trade-in value of their car, find out about financing and insurance options and apply for financing online, instead of sitting down at the dealership. The program also lets buyers handle most of the purchase process, such as calculating the value of a trade-in and completing a loan application, online before they come in to a dealership. So, after a ten-minute verification of the paperwork, the shopper can spend that hour getting to know the car. 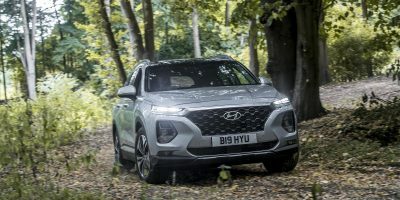 Hyundai buyers are pleased, according to its surveys 74% of customers said they loved the purchase process and 69% said the program made them feel much more positive about the dealership. It burnished the brand, too, with 70% agreeing that it made them feel much more positive about the Hyundai brand. Dr. Wolfgang Bernhart, senior partner at consultancy Roland Berger, notes that China is the most advanced market when it comes to digital experiences in the car. That’s for several reasons: first, the Chinese love all kinds of mobile and connected services. Digital payments are standard, even for very small amounts; second, standards for privacy and data protection are much looser, allowing for better monetization of services. As well, there are many newer Chinese automakers that don’t have legacy architectures. “Some started from scratch when defining their software and the electronic infrastructure, so they already have connected platforms,” he says. Carmakers will face a huge pivot in advertising when their cars begin to drive themselves. No more will commercials showing people, hair blowing in the wind and driving into the sunset, make sense. Instead, they’ll need to play up factors such as reduced stress, comfort and relaxation, according to Bernhart. “In the mid- and long-term future, the more the car drives on its own, whether it’s your own vehicle or mobility as a service, the relevant characteristics change to service characteristics,” he says. Bernhart thinks it will be difficult for traditional automakers to make this branding switch. Their best move, he advises, is to develop sub-brands for mobility and autonomy but they’ll still need to advertise like crazy. Roland Berger surveyed more than 14,000 people around the world, testing brand recognition of 64 mobility service providers, mostly start-ups but a handful from established automotive brands. Uber was the most-recognized, at 46%, followed by BlaBlaCar at 20%. Easy Taxi, Hertz 24/7, Ola Auto, Lyft, Grab and Car2Go, the next most-recognized brands, had a measly 7% to 9% recognition, with more than half showing at 2% or less. Renault is one manufacturer that’s talking about this futuristic, service-oriented vision today. 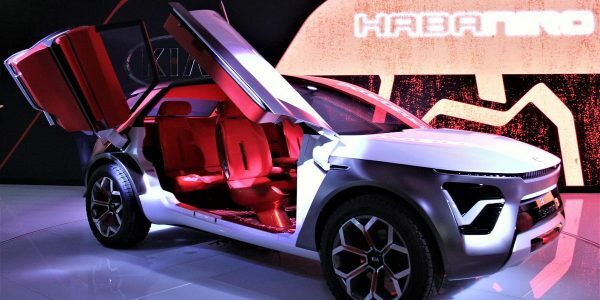 At the Paris Motor Show 2018, it unveiled a concept car that addresses the need for new experiences in fully autonomous vehicles. The EZ-ULTIMO is designed for ride-hailing services and rides that may last an hour or longer. The concept car has a lounge-like interior with swiveling seats. Its entertainment platform, Augmented Editorial Experience, or AEX, will curate content for individual passengers based on their preferences, sending content to a special handheld tablet provided with the car. 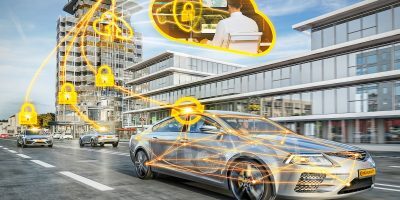 Benoit Joly, chief sales and marketing officer, connected, mobility and autonomous services, Groupe Renault, explains that an individual’s various digital ecosystems, personal, social networks, business accounts, will be joined by one for the car. When riding in the EZ-ULTIMO, “All these ecosystems are meeting together when you begin your journey. We think the value of the experience is to make all these ecosystems work together in a very nice way,” Joly says. Joly thinks that, even in an autonomous world, the car will still matter but driving changes to the concept of “life onboard.” He explains: “If we get closer to the digital-life ecosystem, we will be able to bring a better experience to customers. Then customers will appreciate our cars more than others.” Renault’s motto is “easy life,” and it’s extending it into the future. As an example, when an individual used a Renault car-share, the car could be automatically preconfigured with the preferred radio or music, seat position and dashboard settings.